A Research Scientist at the San Diego Supercomputer Center of University of California, San Diego, (SDSC) since 1998, where he is the Director of the Advanced Query Processing Lab. His current research interests are in the area of emerging information systems that include graph data management, semantic information integration for scientific applications, ontological information management, information management in social networks, and the impact of high-performance computing platforms for information systems problems. He has made some tremendous contributions to SDSC, as well as the entire research community,” said Michael Norman, director of SDSC. “Just to name a few, he was the first to create a domain knowledge-based mediation for scientific databases, and received a patent for that work. He also is a pioneer in applying the latest information systems research in biomedicine, and has advanced informatics research on Parkinson’s disease by creating the first logical model of a neurological disorder.” He also is co-principal investigator of the Neuroscience Information Framework (NIF) project, the world’s largest information repository and bioinformatics resource for neuroscience at UC San Diego’s California Institute for Telecommunications and Information Technology, or Calit2. He has been an early architect of the Cell Centered Database, the BIRN project, and is currently the co-PI and Technical Design Lead of the Neuroscience Information Framework (NIF). He is co-author of a book, “Managing Event Information: Modeling, Retrieval, and Applications”, that explores how to create an information framework for managing a wide range of socially generated digital information. This book addresses the exponential increase in data generation, thanks to the proliferation of citizen reporting, smart mobile devices, and social media. It was written with Ramesh Jain, a Donald Bren Professor in Information and Computer Sciences at UC Irvine. 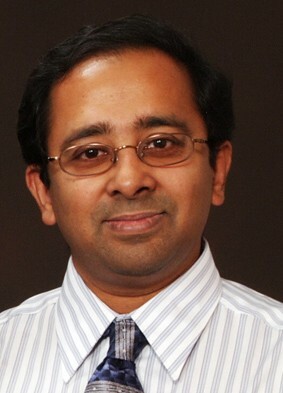 He received his Ph.D. in Computer Science Engineering from Jadavpur University in Calcutta, India, and an M.S. in Biomedical Engineering from the University of Texas, Arlington, and the university’s Health Science Center in Dallas.